Restore American Glory » Pentagon Warns Congress: Three Huge Caravans on Their Way to U.S.
Pentagon Warns Congress: Three Huge Caravans on Their Way to U.S. In a warning to Congress on Tuesday, the Defense Undersecretary for Policy at the Pentagon said that the U.S. military had their eyes on three separate migrant caravans winding their way to the southern border. 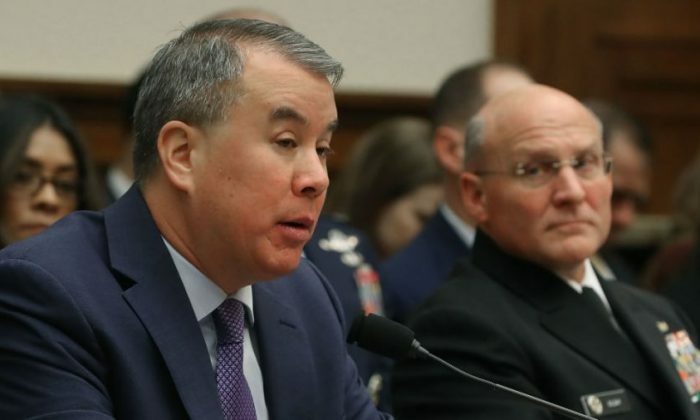 John Rood told lawmakers that one of the caravans had swelled to carry more than 12,000 Central American migrants north to the United States. Rood said that this activity was only one of the reasons why it remains essential for active-duty troops to remain in their positions at the border – the challenges to come could easily be worse than those faced in the preceding months. Right now, there are still more than 2,000 troops helping out the Border Patrol and 2,000 National Guard personnel providing aid and assistance. Rood told lawmakers that the military’s troops were expected to stay at the border through the end of September. House Armed Services Committee Chairman Adam Smith, the Democrat newly appointed to lead the committee, expressed skepticism over why active-duty troops were needed in addition to the National Guard deployment. Smith remained unconvinced that there is any problem whatsoever at the border. Republicans should immediately take this quote, put it up against what’s actually going on at the border, and play it in a commercial every day right up until the 2020 election. This is the perfect example of how far Democrats are willing to stick their heads in the sand if it means ignoring the mass-scale invasion in progress. The American people need to understand – in no uncertain terms – that Democrats do not think it’s a “crisis” for thousands and thousands (and thousands) of migrants to arrive in caravans at the border. The only crisis, to their minds, is that we have a president willing to actually do something about it. Is Our Intelligence Community Failing the President?